In this one-day mapping workshop on the Scheveningen Pier, we will delve into the North Sea’s current and future realities. Failed Architecture is returning for the third time to The Hague’s arts festival and symposium TodaysArt. Two years ago, we unveiled some of the hidden secrets and unique qualities of the now vacant Ministry of the Interior in The Hague, while last year we delved into the city’s eclectic collection of seaside architecture. 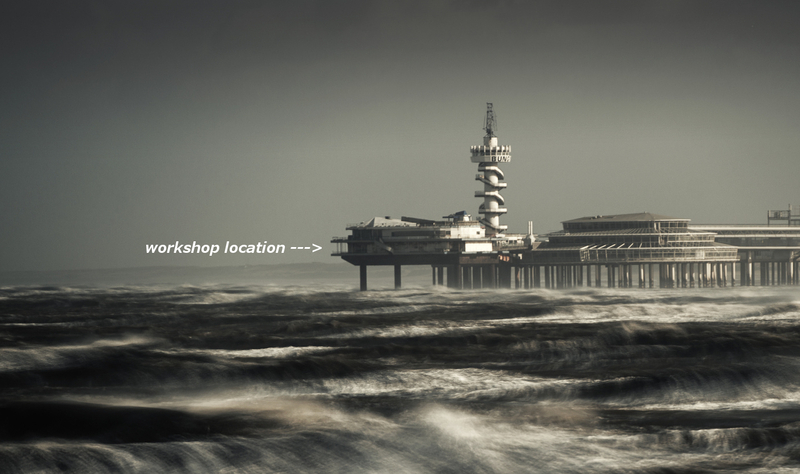 This year, we will move beyond the shoreline to the festival’s new location on the Scheveningen Pier for a freely accessible, one-day mapping workshop on the North Sea. The Pier’s predecessor was originally built to walk into and subsequently enjoy the ’emptiness’ and ‘purity’ of the North Sea. These perceptions of the North Sea were rooted in 19th century romanticist (and naive) ideas and desires of being immersed in wild, endless and ‘uncontrollable’ nature. Over the years, the pier has been rebuilt, closed and reopened multiple times and still offers spectacular views on a seemingly empty sea. Failed Architecture – always trying to open up new perspectives on a variety of spaces – wonders if the North Sea is really devoid of anything. Who owns and controls the North Sea? What flows, borders, connections and obstacles can there be found? Who and what inhabits the North Sea? What plans have been made for its future? Using the Scheveningen Pier as a panopticon for the North Sea, Failed Architecture will host a 5-hour workshop (concluded with a public presentation) on the 26th of September. In the workshop we aim to demystify this foggy part of northern Europe and map the North Sea’s current realities, together with you.